“We were a very mixed lot….” With these words, Kurban Said began his famous novel “Ali and Nino.” He was, ostensibly, speaking of the hero’s schoolmates, but in a broader sense he described the complex multi-ethnic reality of Azerbaijan. For the second piece, the ensemble performed an energetic, all-female Yalli from Naxchivan, birthplace of former President of the Azerbaijan Republic, Heydar Aliyev. The ancient city of Naxchivan, home to many different ethnic and religious groups, endured invasions by Arab, Persian, Turkish, and Mongol armies. The inspiration for presenting this spirited dance came after Silk Road Dance Company’s Artistic Director Dr. Laurel Victoria Gray saw historic footage of the Chinar Group performing the dance. The soloist was Alagoz Salakhova, grand-daughter of legendary People’s Artist of the USSR, Tamara Khanum, the famous dancer who was the first in Uzbekistan to perform in public. By coincidence, Gray had become acquainted with Tamara Khanum in the 1980’s, when she was the first American guest in the artist’s home. Later, Gray met other family members, including Alagoz. 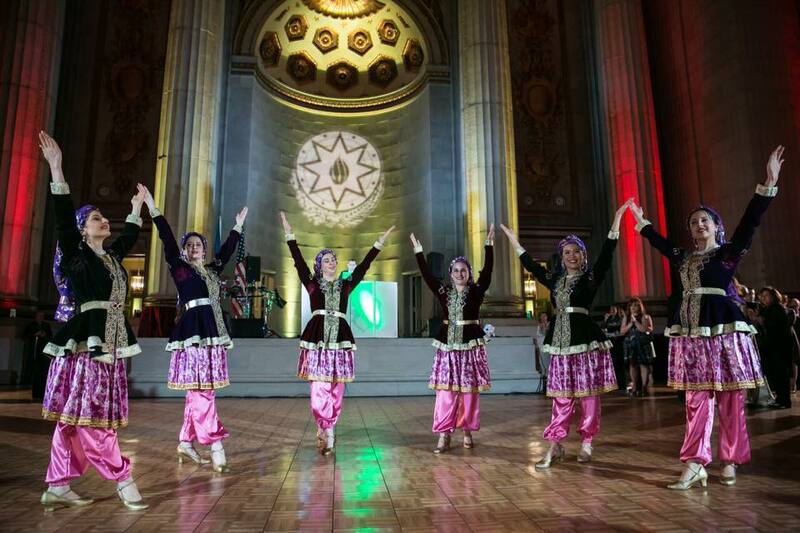 Adding this dance to the ensemble’s repertoire created a connection to the lineage of Tamara Khanum as well as to the cultural heritage of Naxchivan. 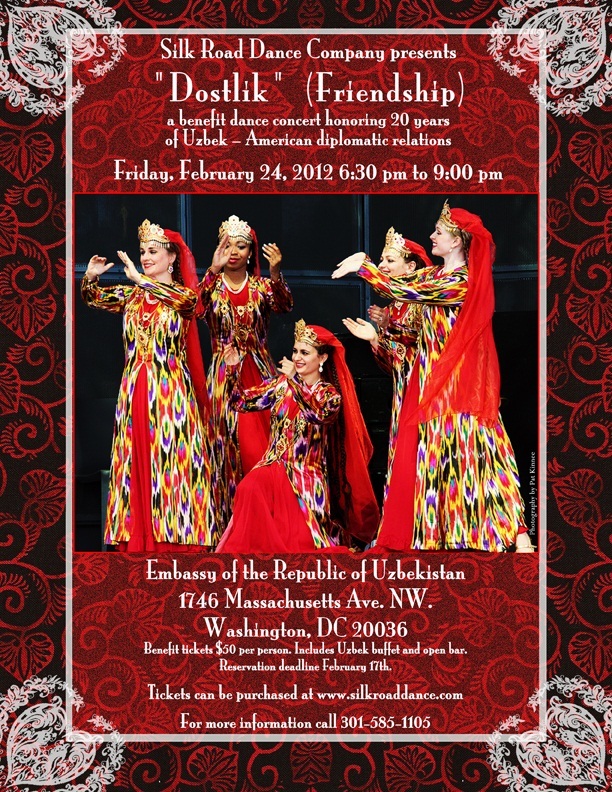 Please join us on Friday, February 24, 2012, at the beautiful Uzbek Embassy for this exclusive event honoring 20 years of Uzbek – American diplomatic relations. 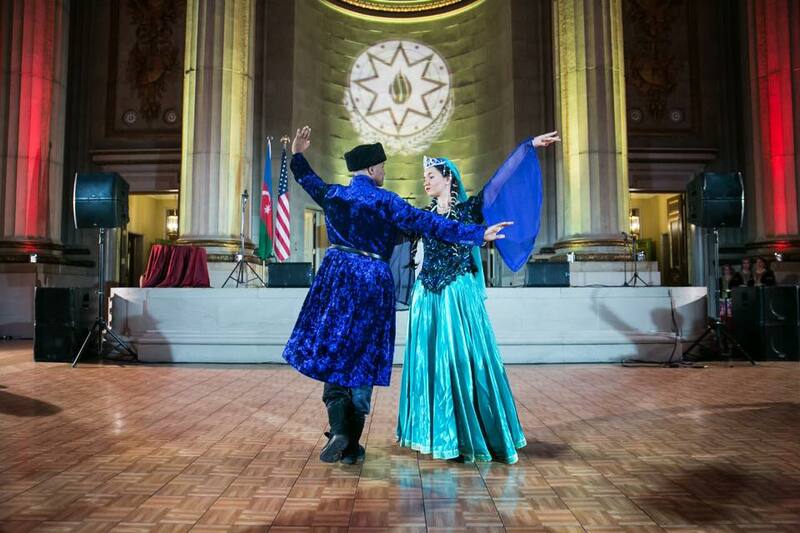 Silk Road Dance Company will present a concert of Uzbek, Tajik, Uighur, and Azeri dances – all in lavish, colorful costumes. 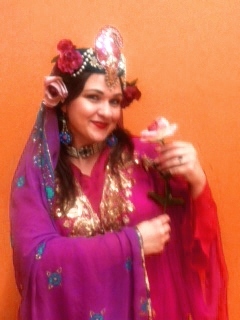 After the concert, enjoy a buffet of traditional Uzbek cuisine. There will also be an open bar. Tickets are $50 per person and are very limited. 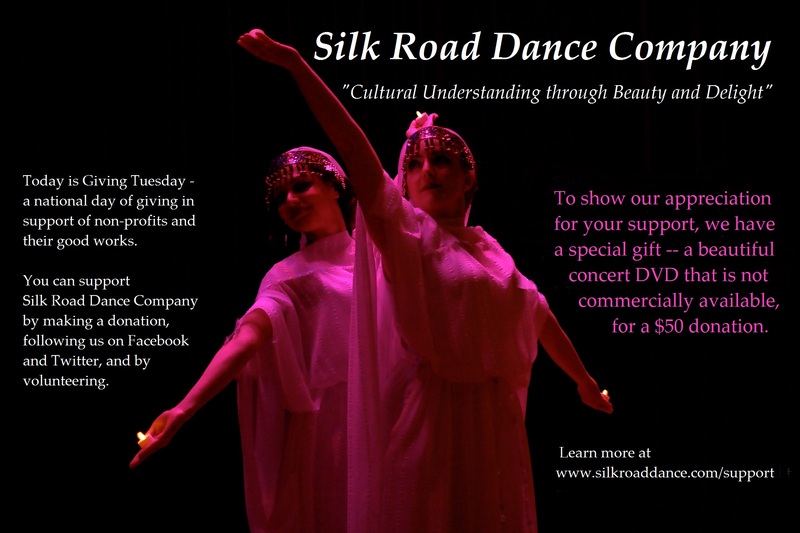 Proceeds will benefit Silk Road Dance Company, a 501(c)3 tax-exempt arts organization. All ticket reservations must be completed by February 17, 2012. There will be no ticket sales at the door. CHILDREN’S DANCE WORKSHOP: $15 in advance; $20 at door. Washington, DC – Exuberant dances, lavish costumes, and ancient traditions will entertain audiences at the Silk Road Dance Festival on November 19, at Joe’s Movement Emporium in Mount Rainier. 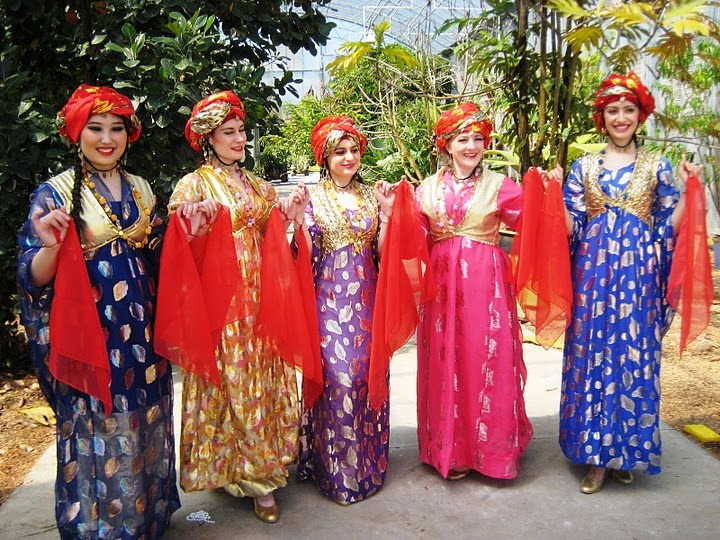 Inspired by the Silk Road theme of the 2002 Smithsonian Folk Festival, the event focuses on the rich diversity of dance found along the celebrated trade route that connected China with the Mediterranean. Daytime activities include dance workshops for adults and children, a Central Asian style “chaikhona” (teahouse), a lecture on Uzbek traditions and a Silk Road bazaar. 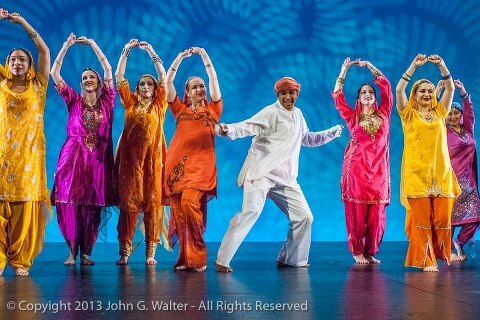 The festival culminates in an evening concert at 8 pm featuring guest artists from India, Central Asia, and China along with the award-winning Silk Road Dance Company. Dance workshops in Uzbek, Azerbaijani, Persian, and Kathak styles will be offered at Joe’s Movement Emporium from November 18th to 20th, as part of the 14th Central Asian Dance Camp. Audiences can enjoy these and other pieces in the Saturday night concert that will highlight the Silk Road Dance Festival. Rare and compelling choreographies of Afghan, Azerbaijani, Chinese, Indian, Kazakh, Persian, Tajik, Turkmen, Uighur and Uzbek origin will provide a glimpse into cultures unfamiliar to most Americans. Featured artists include Jayantee Paine Ganguly, director of Konark Dance School and Jayantika Dance Company, who will perform classical Indian Kathak dance. The Xuejuan Performance Ensemble, a Chinese dance company directed by Xuejuan Feng – a graduate of the Beijing Dance Academy – will present group and solo pieces. 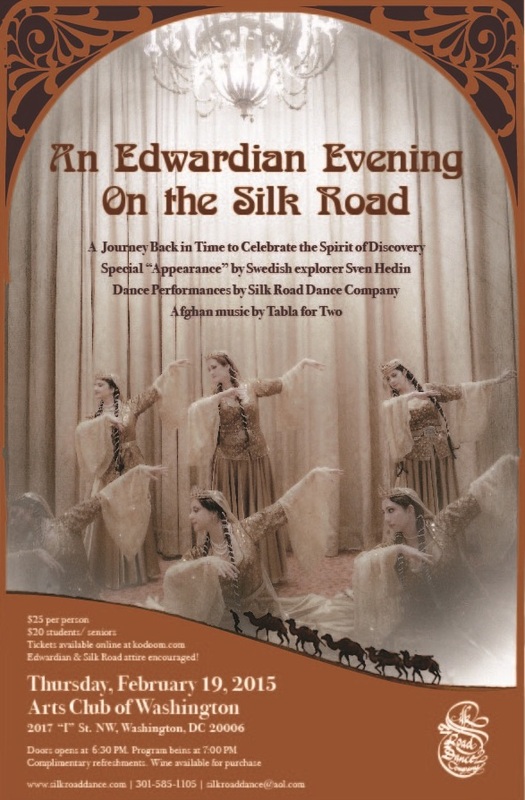 Traditional and classical dances of the Uzbek, Tajik, and Uighur people will be performed by Central Asian guest artists and the award-winning Silk Road Dance Company. Co-presenters of the Silk Road Dance Festival include the Asia Heritage Foundation, the Uzbek Dance and Culture Society, and World Arts Focus.